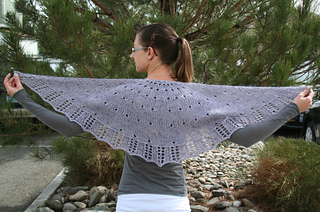 This little Shawlette was designed in honor of VK Live in Seattle this past April (2013.) For the show we partnered with Cascade Yarns and created a kit that featured two of our favorite Cascade yarns: Venezia and Kid Seta. 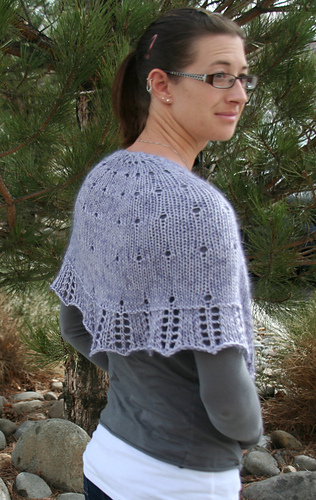 The shawl is named as an homage to Seattle’s nickname “The Emerald City” and uses just one skein of each yarn for a quick and easy project. This little shawlette is the perfect shoulder warmer for a summer wedding, to give as a gift or to wear as a scarf all winter long. The softness of the silk and mohair (Kid Seta) with the drape of the merino and silk blend (Venezia) are an elegant combination. 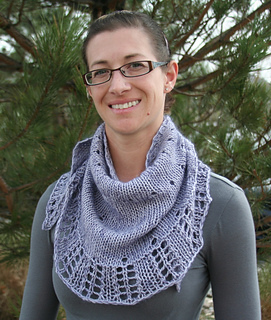 The semi-circle shape is wildly popular right now, and the simple eyelets and easy lace border make it a project that is perfect for a beginning lace knitter. 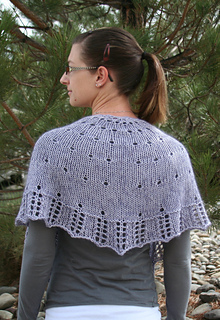 All in all, this project is a simple and quick knit that can be done over a weekend! Enjoy!